Ceramic crowns are a type of dental crown that provides the best looking and natural match for replacing teeth. They can be attached as themselves or they can be strengthened with a metal to make them more durable in time. 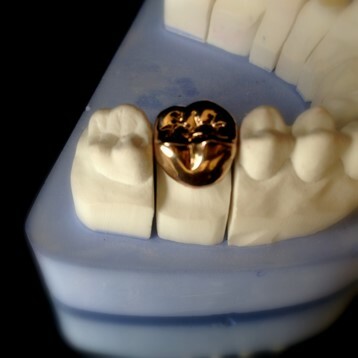 One of the options patients have for these type of crowns is the ceramic crown in chromium nickel support. A dentist can tell you if this is suitable for you and if your dental needs can be satisfied by this type of product. Unlike all-ceramic dental crowns, the ceramic crown with chromium nickel support provides more durability and a natural looking aspect for the teeth. Ceramic fused to metal crowns can be fabricated from a number of base metal alloys, including chromium and nickel. These two metals combine well together and have good tolerance. This type of crown will have a ceramic portion (the visible one) which will reflect light much in the same way as a natural tooth and an inner layer of the chromium nickel or other metal alloys. The ceramic crown is recommended for front tooth replacements because it is aesthetic and seems natural. Compared to all-ceramic crowns, the ones that are fused to metal tend to have the most natural look. In time, the ceramic portion can wear off or even display small cracks. If this happens or the darker metal portion starts to show from your dental crown you can contact a dentist to get a replacement. The right type of dental crown is the one that is most suited for the replacement that is being made but also the one that satisfies the client’s budget. 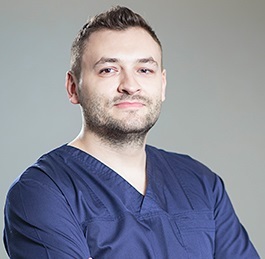 Because some materials are more expensive than others, clients at our dental clinic in Bucharest have a wide range of dental crowns to choose from. Porcelain, metal and resin crowns are usually the most common options. Dental crowns or bridges are usually placed after a dental implant has been done for the patient. 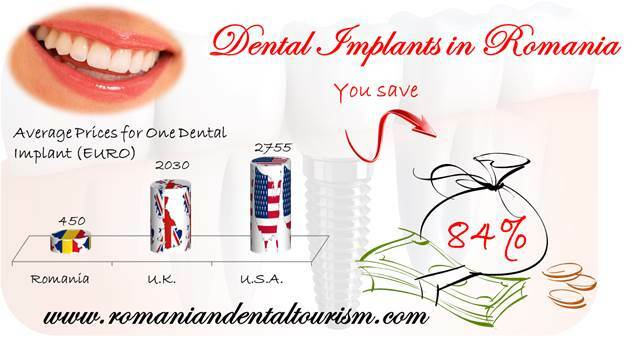 If you are interested in dental tourism in Romania, our team of dentists can tell you more about our affordable costs.